SewZeal is a custom made home decor and interior decorating business specializing in all types of window treatments and accessories. *Hunter Douglas Authorized Dealer* Melani's Moods Home Fashions has been making Long Island homes beautiful for over 30 years. Now, we welcome you to our new website, where you can tour our virtual showroom to view pictures of our work, use innovative tools to help guide your design decisions, and learn about Melani's Moods commitment to quality, service and professionalism. Owners Mark and Abby have built a stellar reputation as home decorating specialists by providing personal attention, friendly service and quality products. Whether your project calls for consultation with our expert design staff, fabrication in our custom workroom, or installation by our trained and certified specialists, we have the solutions for you. Owned and operated by Michelle Gaughran, Design Decisions is a full service design firm offering over 17 years of experience in both Residential and Commercial spaces. Michelle's grasp of aesthetics and attention to detail has resulted in providing her clientele with a unique sense of style and taste, while achieving the creative vision and maintaining personal expression. Our team of contractors, electricians, painters, and furniture showrooms all work collaboratively to help to ensure the design process is seamless and that our clients have a rewarding and unforgettable experience. We believe that each client is unique and we work very hard to bring an abundance of energy and charisma to each project and to ensure our clients are educated along the way in order to provide a true evolution of design. Please feel free to reach out with your design questions and needs and we will look forward to hearing from you! Marc Tash Interiors was formed more than forty years ago when the founder, Marc, could not find beautiful fabrics or furnishings to decorate his Lower East Side Manhattan apartment. Refusing to settle for sub-par style, Marc Tash has since then become renown for sourcing luxurious fabrics and designing beautiful interiors. Our work has been featured in leading publications, and more than a 1000 spaces across New York boast a Marc Tash makeover. Marc himself personally oversees every single project to ensure that it meets our strict standards of quality. Our clients know that we transform more than just your upholstery; we help you create a home that you can enjoy with pride. At Nesco, our years of design and technical experience in both Home Furniture Upholstery and Commercial Reupholstery, will inspire and assist you in making the absolute perfect choices. Whether it's for a single room or an entire development, our talented crew offers innovative suggestions, advice and a job well done. Serving the New York area, Nesco Upholstery also offers additional home furniture services including Furniture Repair, Antique Restoration, Furniture Refinishing, and Furniture Design. Don't "Replace" when you can Renew! Why should you Reupholster? Buying new furniture these days is a risky deal. Consumers are often fooled by decorative exteriors which hide the cheap materials used in the mass-production of today's furniture. While these products might look good in the showroom, they will not stand the test of time that your quality, antique furniture has already endured. Furniture Reupholstery Nesco Upholstery will breathe new life into your comfortable, quality furniture so you can hold on to those sweet memories without having to find a new piece to fit your living space. Starting from very simple Chair Upholstery or Sofa Reupholstery, to a complete renovation including flooring, Window Treatments, Bedding and Pillows, or wall upholstery. 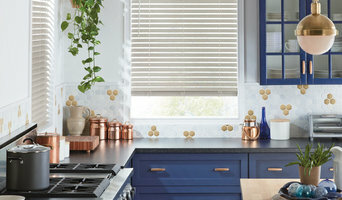 Custom Window Treatments Nesco Upholstery and Design is an authorized Hunter Douglas dealer. 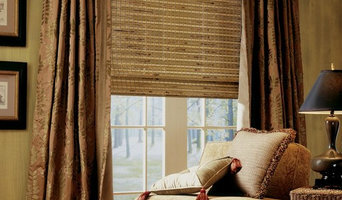 We also make custom window treatments for your home. Call us today for an estimate. Revitalize your home.